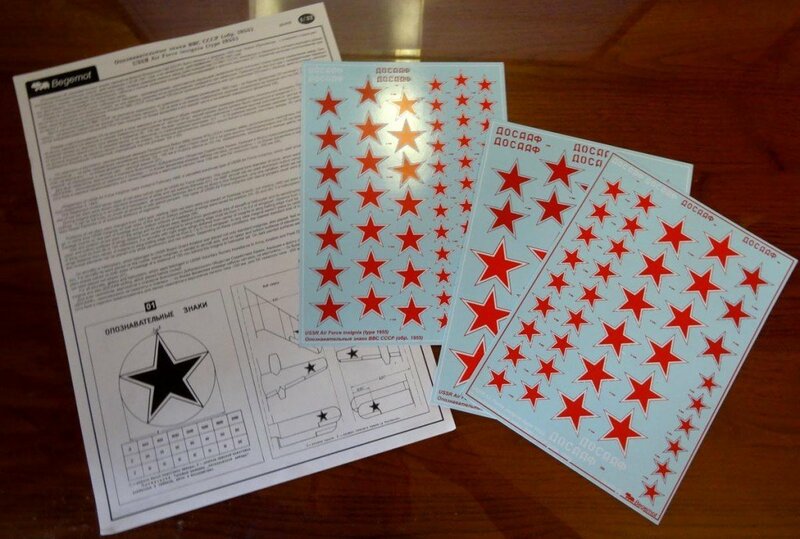 Decal set with seven different sizes of USSR Air Force insignia (type 1955), for all main types of RuAF aircrafts and helicopters. This type of USSR insignia were actual form 1955 to 1974. Including three big size decals and 2-pages A3-size instruction.